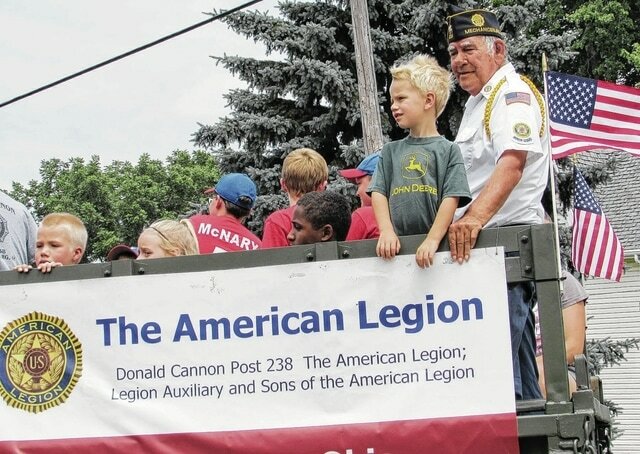 Boy Scouts, tractors, the American Legion and historical re-enactors were all part of the Mechanicsburg Summer Celebration Parade in 2014. Organizers of this year’s event are hoping for a repeat of last year’s sunny weather on Saturday for the celebration. With fireworks planned for dusk on Saturday, July 11, at both the North Lewisburg village park and, in Mechanicsburg, Goshen Memorial Park, the hope is for dry weather. In North Lewisburg, the village Firemen’s Association is sponsoring the show. In Mechanicsburg, fireworks are a part of the village’s Summer Celebration in the park. Organized by Our Towne Mechanicsburg, the annual Celebration is sponsored this year by Tim’s Towing and the Cassady family. 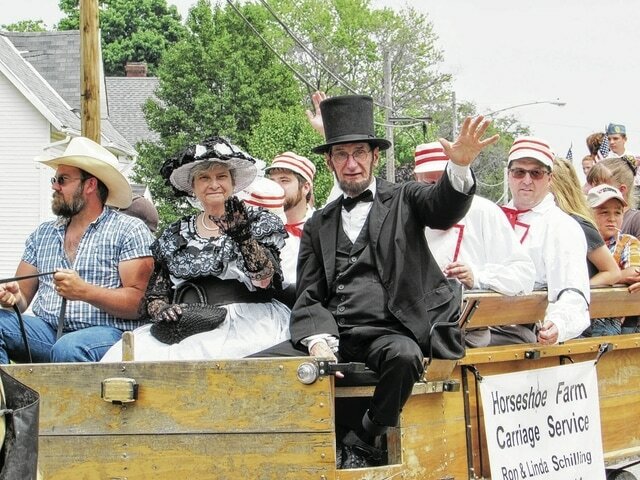 M’burg festivities kick off at 3 p.m. with a parade through the downtown area, beginning at Heritage Cooperative and ending at the park. Grand marshals will be Police Chief John Alexander, Fire Chief Bob Keene and Assistant Fire Chief/EMS Chief Steve Castle. At 4 p.m., an 1860s-style baseball game featuring the Ohio Village Muffins and a team of Mechanicsburg “all stars” will be played on the main diamond at the park. Providing the entertainment for the event will be The Average Wright Band, which will play from 7:45 to 9:45 p.m. The performance is presented by Hemisphere Coffee Roasters. Along with fireworks, activities will include a watermelon eating contest, an apple pie baking contest (information available on OTM’s Facebook page and at the village library), a corn hole tournament and a children’s sand dig. The “dig” is sponsored by Mechanicsburg Sand & Gravel. The Mechanicsburg Fire Department will host a touch a fire truck event 4-6 p.m. at Goshen Park’s, lower level by the baseball fields. Take a “tour” of the truck and also get a close-up look at a MedFlight helicopter. There will be a free raffle drawing to win two free tickets to Kings Island, courtesy of The Mechanicsburg Fire Dept. Our Towne Chairman Dan Eck notes that Summer Celebration is held annually on the second Saturday in July, which is July 11 this year. 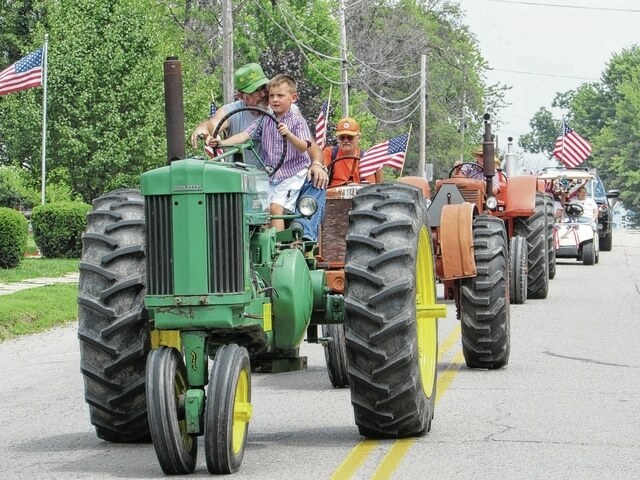 He added that Tim’s Towing and the Cassady Family agreed to sponsor the 2015 Summer Celebration and Fireworks Display this year in honor of Goshen Township’s bicentennial year. “Our Towne Mechanicsburg would like to congratulate Goshen Township on 200 years and express our sincere appreciation to Tim and his family for this sponsorship,” he said. “Their contribution and commitment to Mechanicsburg is critical to the success of this annual event.” Goshen Township will offer free ice cream and cake at the main shelter house from 6 to 8 p.m. to celebrate the 200th anniversary. OTM is looking for parade participants. E-mail, text or call 614-579-2120 or daniel.eck@ey.com. Any entries will be considered. The group specifically is looking for classic cars and for local youths to decorate their bikes and join the parade. Back again is the Doc Topp Memorial Pet Parade. Join the end of the parade with your favorite four-legged friend. “Volunteers are critical to the success of Summer Celebration,” Eck said. “Visit www.SignUpGenius.com and find our volunteer page by using the Find A Signup feature and use the following email in your search: “tnrjohns@OVERSET FOLLOWS:hotmail.com”. For additional information, find Our Towne Mechanicsburg on Facebook, or visit www.MechanicsburgOhio.org.